Fourth of July is one of my favorite holidays. Not only is it usually a long weekend (yay! ), but it’s a really fun time to spend with friends and family. I have fond memories of “writing” my name in sparklers with my aunt as a kid, and of my grandfather making his famous grilled chicken. More recently, July 4th has meant trips to the beach, pig pickin’, and large gatherings. And as much as I still like fireworks, it’s even more fun to watch the younger kids react to them. This time of year also makes me really proud to be an American. I’m grateful for the many freedoms we enjoy, but I’m also grateful for the uniqueness that comes with this great country. We’ve got a little bit of everything here, and that’s part of what makes us truly special! Likewise, here are some red-white-or-blue kitchens, and each is very unique. It’s a little bit of everything! 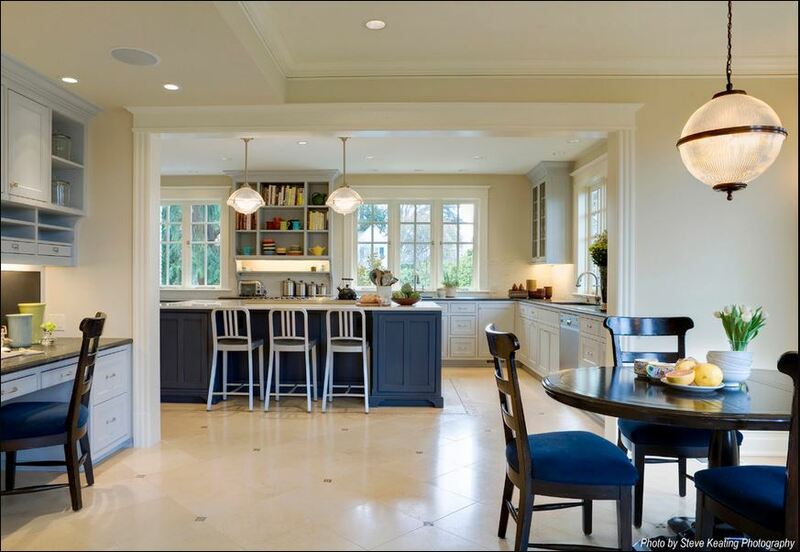 Here’s a fun example of blue and white cabinetry. It’s very contemporary, but very fun! How about this one, with a white perimeter and a punch of blue for the island? The blue accents carry the theme throughout the space. 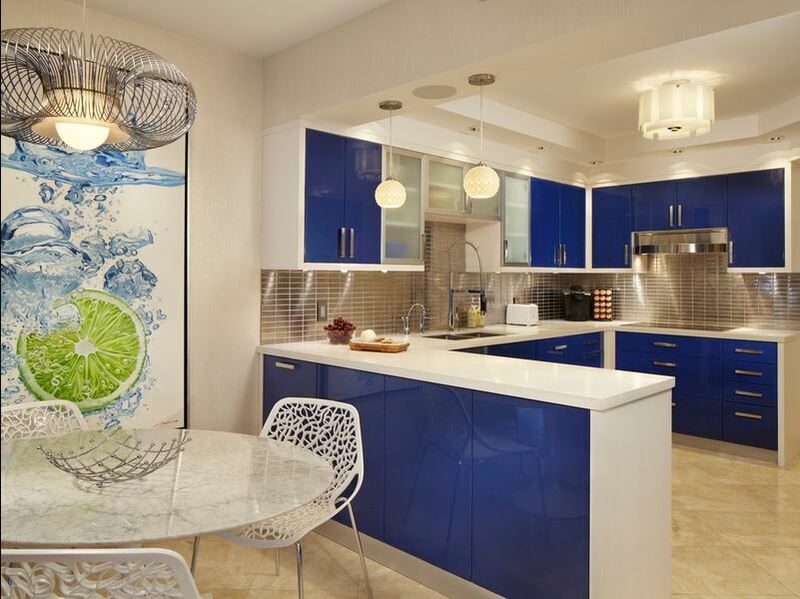 Or if blue cabinets are too much for you, why not go for some drama on the backsplash? 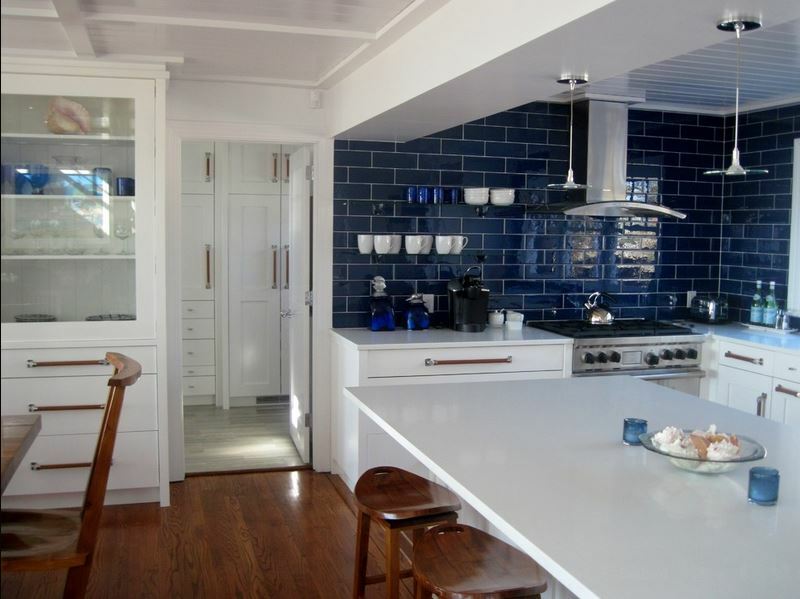 This kitchen just has simple blue subway tile, but it creates a huge impact. White kitchens are very popular right now, and we are doing them frequently. How can you not love the clean and fresh feel it gives in a kitchen? 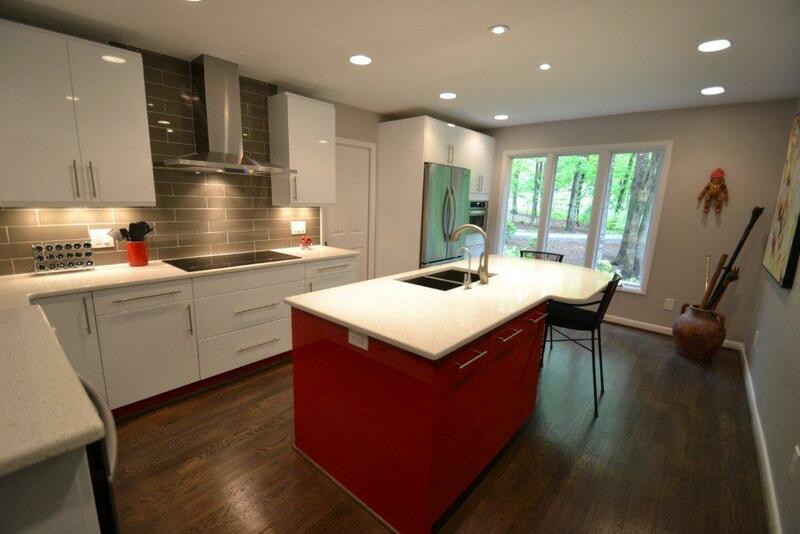 White cabinets are extremely easy to pair with a bright contrast island. All white kitchens are also very timeless looking, and accessories can be changed on a whim. We’ve got great examples of white kitchens in most of our showrooms, so come on in! Here’s a more traditional version with mullions on the glass cabinets, and a decorative hood. 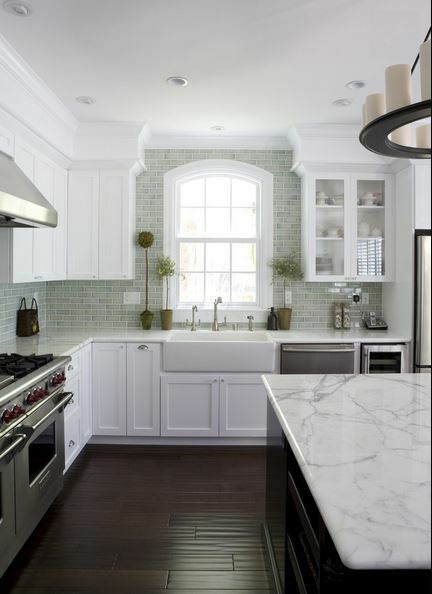 Here’s a white kitchen with a contrasting island, and very simple shaker cabinets. A client brought in this photo as inspiration for their kitchen, and I can’t wait to see it installed! Red is a very bold color, and many people are afraid to commit to such a strong statement. 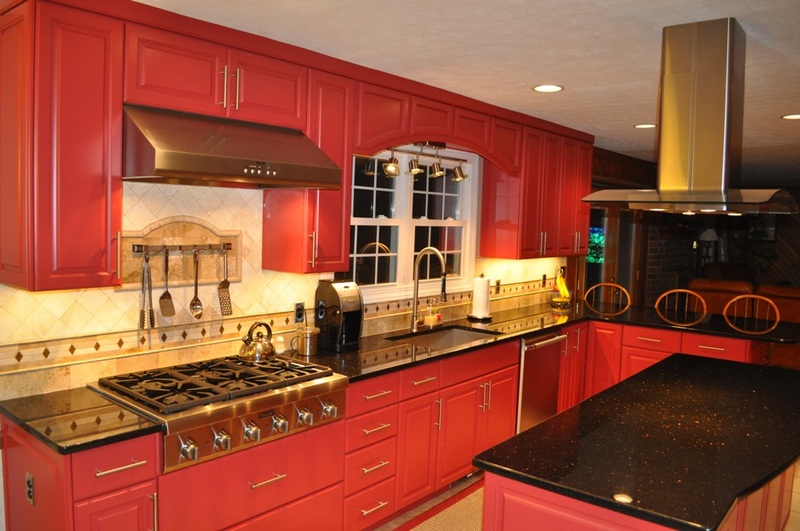 Red works well when other finishes are thrown into the mix as well to help tone down the intensity a little bit. Here’s a kitchen I can’t take all the credit for, but one I helped with. 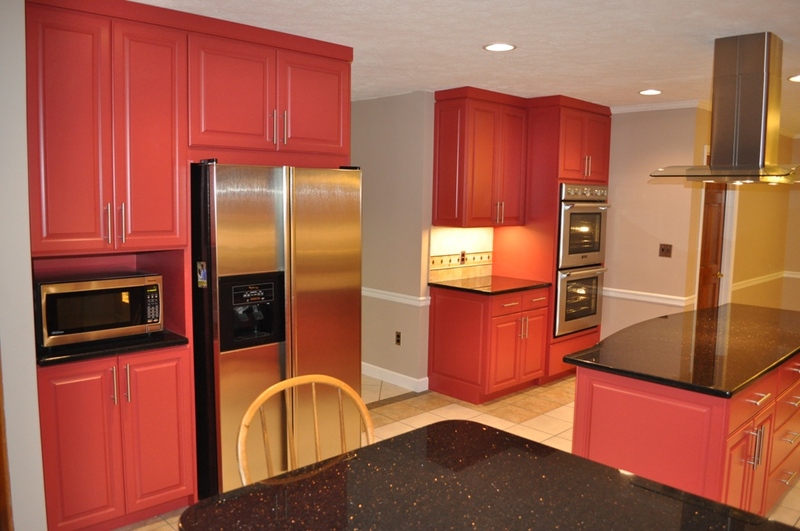 They used a lighter, less intense shade of red for the cabinets, and paired it with a decorative travertine backsplash and black countertops. I also like the mix of contemporary and traditional elements here! This is actually where I’ll be spending 4th of July this year! 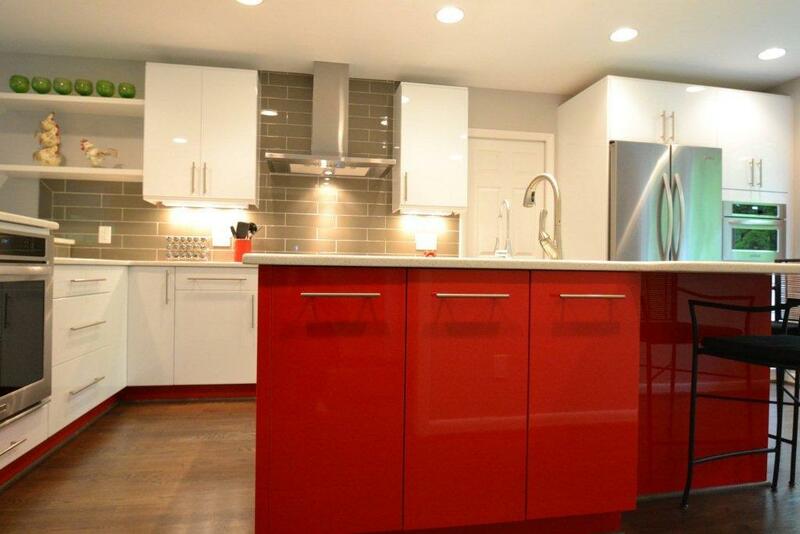 Last, but certainly not least, is a contemporary red and white kitchen. 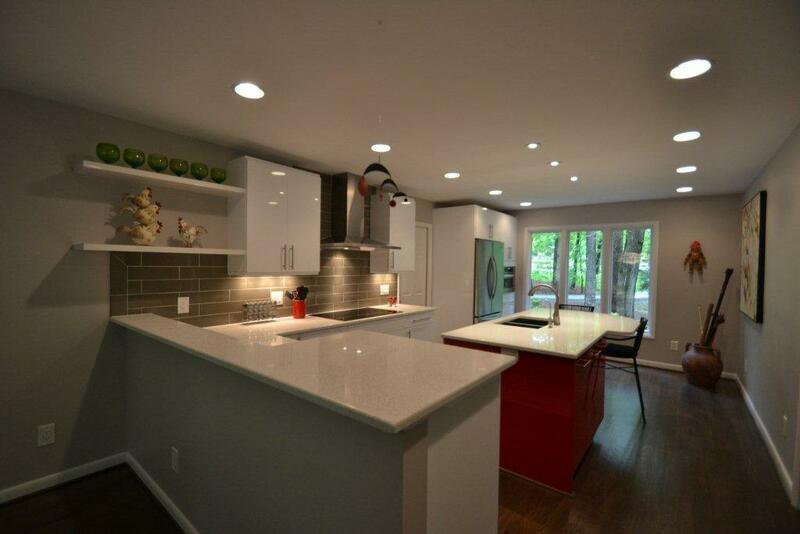 This kitchen was designed by Rebekah Frye, one of our designers out of our Glenwood location. 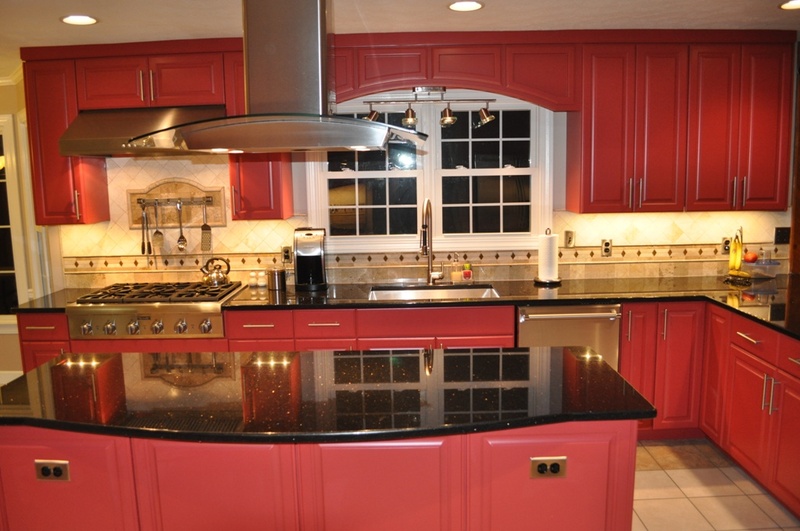 She used high gloss white on the perimeter, and added interest with a very bright red, high gloss, island! Isn’t it fun?! The clients for this project were also great to work with; one is an artist and many of their pieces were used throughout the house, including in the kitchen. Did you notice the red toe-kick area? What a cool surprise! Great job Rebekah! Kitchen and Bath Galleries will be closed on July 4th, but we hope you have a fun and safe holiday with your friends and families! Beautiful kitchens by an incredible designer in a still great country.